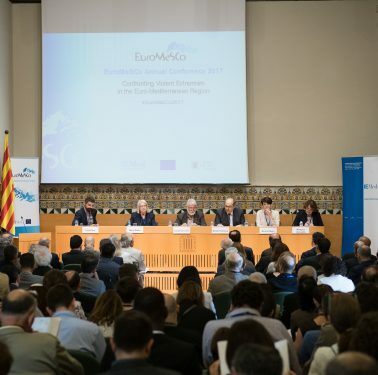 EuroMeSCo contributes to debates on countering violent extremism The EuroMeSCo Annual Conference, held on 1-2 June in Barcelona, aimed at contributing to debates and reflections on countering violent extremism in the Euro-Mediterranean region. 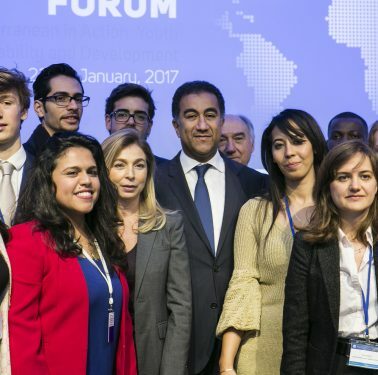 EuroMeSCo holds first edition of Youth Forum In the framework of the Annual Conference, the EuroMeSCo network of think tanks held the first edition of Youth Forum. Support for mobility among researchers of EuroMeSCo members In January 2017 the IEMed and EuroMeSCo have launched a new program “Support for mobility among researchers of EuroMeSCo members” whose objective is to promote the mobility of researchers affiliated to the member institutes of the network. 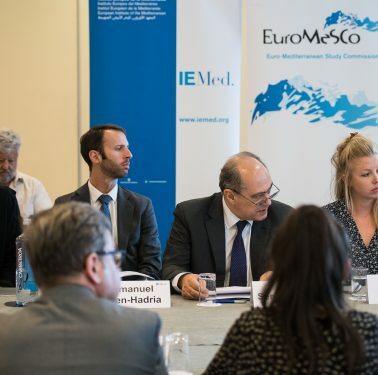 The impact of think tanks on Euro-Mediterranean policies The main network of think tanks on policy and security in the Mediterranean, EuroMeSCo, held a workshop at the IEMed (Barcelona) with representatives of European institutions dedicated to external action. EuroMeSCo participated in the debates on youth in the II Regional Forum of the Union for the Mediterranean The network of research centres EuroMeSCo and the IEMed have collaborated with the Secretariat of the Union for the Mediterranean (UfM) on organising the 2nd Regional Forum of the UfM, this time focused on youths and their role in stability and development in the Mediterranean. Topics for the next round of Working Packages selected The meeting of the EuroMeSCo ENI Project´s Consortium took place on 9 November in Brussels. 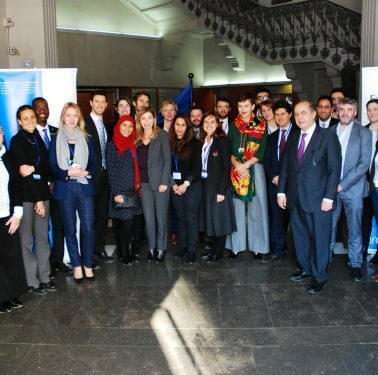 Members of the consortium, Steering Committee and representatives of the European Commission and the European External Action Service discussed the topics of the Working Packages for the third cycle of the project. Second meeting under the EuroMeSCo Policy Briefings’ cycle On 22 October EuroMeSCo held the second meeting in the framework of the EuroMeSCo Policy Briefings cycle. New EuroMeSCo Steering Committee has been elected Following the online vote, full members of EuroMeSCo have elected the new EuroMeSCo Steering Committee for the 2016-2018 period.